Human resources are a very important and valuable part of any organization. Managing human resources requires a dedicated HR team that puts in a lot of time and hard work, but most of the time, there is just too much work to be done and very little time to do it. Of course, hiring more HR personnel always helps, but that also increases costs. So, how to find a solution for all this? As always, people turn to computers to do their magic to help. And in this case, the magic is done by Human Resource Management Systems or in short HRMS. What exactly does an HR Management System do? The short answer would be – a lot, and the long answer would be that it assists with many different kinds of human resources that need to be carried out such as creating employee databases, automation of time-consuming processes, instant access to data from any computer connected to the cloud, etc. HR software can be classified into many types based on the function it performs. There are software solutions that offer functions related just one or two tasks related to HR Management like payroll management software (click here) or online leave management systems while others are far more comprehensive and have solutions every different type of task that has to be carried out as a part of HR Management. Most software solutions though neither fall in both of the above categories. Usually, they specialize in one functions while also being able to assist multiple other tasks. HR software can also be differentiated by how it is accessed. On-Premise HR software and Cloud-Based HR software. On-Premise HR software is installed on an individual computer, and it can only be accessed from that particular computer. The advantage of this is that it provides a lot of security to your data and at the same time it also costs much lower than cloud-based systems. The only problem with this type of HR Software is that it is not readily accessible making it very difficult to maintain and update various databases properly. 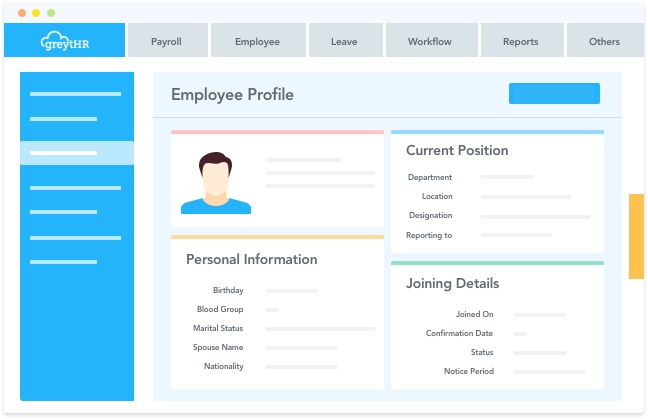 On the other hand, Cloud-Based HR software can be accessed from any computer that is connected to the internet with the user having just to enter the correct login credentials. While this reduces the security protection to a large extent, the advantages it provides are more when compared to On-Premise systems. Moreover, since this is the era of smartphones, HR Management Systems are increasingly becoming accessible through smartphones. It is an extremely convenient way for HR personnel to access information on the go and makes life much easier. Whatever type of software you choose, one thing is for sure, that is having an HR software in place to assist you is better than having none at all. HRM systems eliminate the risk of human errors to a great extent and also helps in reducing costs by removing the need for human work through automation. Therefore, it is pretty clear that the future of HR management is directly interlinked with HR software.